Lifeguard training and lifeguard certification courses basically train people to rescue victims and casualties from the waters; these could be at sea, in a lake, in a water park, at the beach, or at a swimming pool. Lifeguards ensure safety of the swimmers, surfers and other people who wade into the water and participate in different water sports. They are trained to rescue people who get caught up in water. 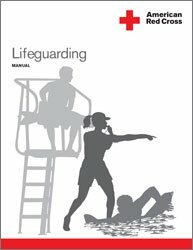 Lifeguard certification courses teach a rescue strategy that includes the use of special techniques and equipment during times of emergency. Lifeguards are also very strong swimmers and that supports their main responsibility which is rescuing those who get into trouble. Besides their main task, lifeguards are also trained to give first aid to casualties and at times they are also required to provide moral support to those in pain and distress. The lifeguard’s primary duty is to supervise a certain area, to be able to carry out their duties adequately they need to have visibility of the vicinity. They mostly locate themselves on an elevated platform which is either a chair or at times the roof of a vehicle; this allows them to keep an unobstructed eye on swimmers. Lifeguard training includes handling of the rescue equipment and communication devices. The rescue equipment includes first aid kits, rescue boards, life vests, spine and head immobilizers; and communication devices include the use of wireless phones or other handsets. Lifeguards are taught how to use these devices during lifeguard certification courses. Lifeguards can ask for support and declare emergency via their handsets. They also receive instructions from senior team members during a typical rescue scenario; and get to know if their team member in a nearby vicinity requires help. The elevated chairs that they use often has room for rescue and communication equipment as well, the chairs are mobile and the lifeguard can shift them as needs be. The location of the chair mostly depends on the level of the tide, the weather conditions, and the population at the beach. During lifeguard training, the trainees are instructed to keep a rescue buoy and a whistle with them all the time. The whistle is used to attract attention in a state of an emergency; they can divert the crowd’s attention to themselves and can then give directions so that their job of rescuing many people at the same time and taking them to safety becomes easier. The rescue buoy acts as their mark of identity; it is a float-able tube that can help support the weight of the victim in the water. It has a long leash attached to it which the lifeguard wears around his body to tow while swimming a long distance. The buoys come in many colors but the ones used by lifeguards have the words “rescue buoy” printed on them and are mostly red or bright yellow. Lifeguards host up flags that are red and yellow in color, these mark the areas that are under their supervision. Many people prefer to keep within the vicinity so that in case of an emergency they can be helped, plus it makes them feel safe and secure. 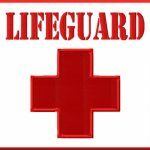 Lifeguard training followed by lifeguard certification authorizes people to work as a part of the emergency team. They are trained to ensure their safety first whilst rescuing the victims. A lifeguards serve humanity and therefore it a noble profession.